After almost two weeks of almost non existent upper level winds the 9th December 1999 was shaping up for severe storms with a jet at 200mb approaching 100knots and an exit region overhead. On the surface a trough of low pressure was approaching from the south west, and low level moisture being supplied by a humid NE wind. 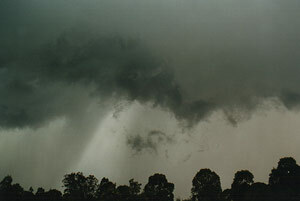 The day before a supercell thunderstorm was recorded in South Australia. Then later that night a squall line with some nice lightning affected the Southern Tablelands and South Coast of New South Wales. The only problem with today was the amount of mid level cloud that keep surface conditions cooler than forecast. 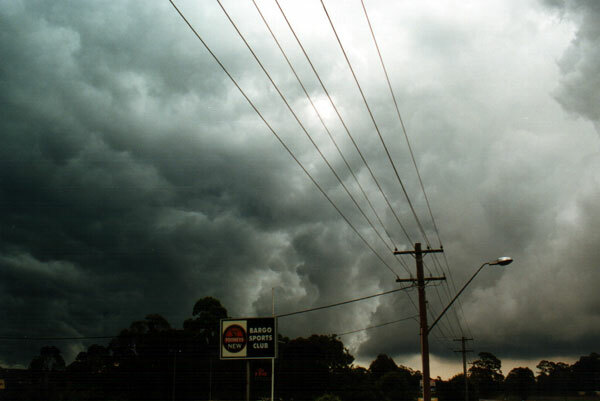 Around mid afternoon the first severe storm advices had been released for the Sydney and Illawarra regions following a damaging storm in the lower Blue Mountains west of Sydney. 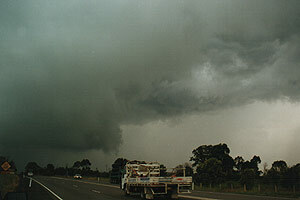 I watched the radar as this squall line moved NE from Sydney, this puts it out of practical chasing targets for me. Another squall line was evident approx. 150 km west. I waited until I was sure this line would affect my target area - the southern highlands. A chase onto the southern highlands means a mountain pass from the Illawarra, I chose Macquarie Pass, a poor choice as there was a road accident and no traffic was being allowed through. After waiting 30 minutes I turned around and headed to Jamberoo Pass. The dew points were so high that the top of the pass was covered in cloud and visibility was perhaps 20-30 metres. When I finally broke out of the fog I saw glimpses of the squall line to the west. The photos at the top of the page are of the first encounter. The storm not long after these pictures were took threw out an enormous gust front that quickly outpaced the storm. With dew points so high it was not long before this front stalled and convected. 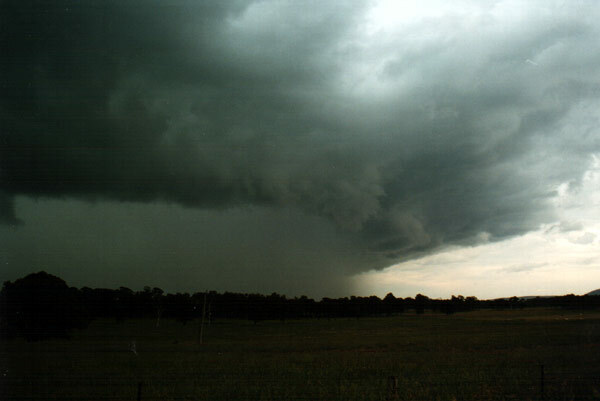 The new storm that formed repeated the process twice more. I was able to follow the sequence of storms for approx. 40 kilometres. Strangely enough the storms were electrically very weak, although the AM radio indicated otherwise. 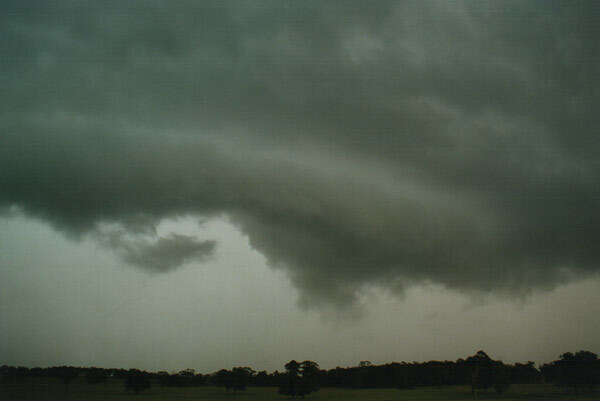 Winds were strong at times during the storms, although I saw no damage. Rainfall was heavy enough to cause minor flash flooding, however the storms moved too quick to accumulate large totals.